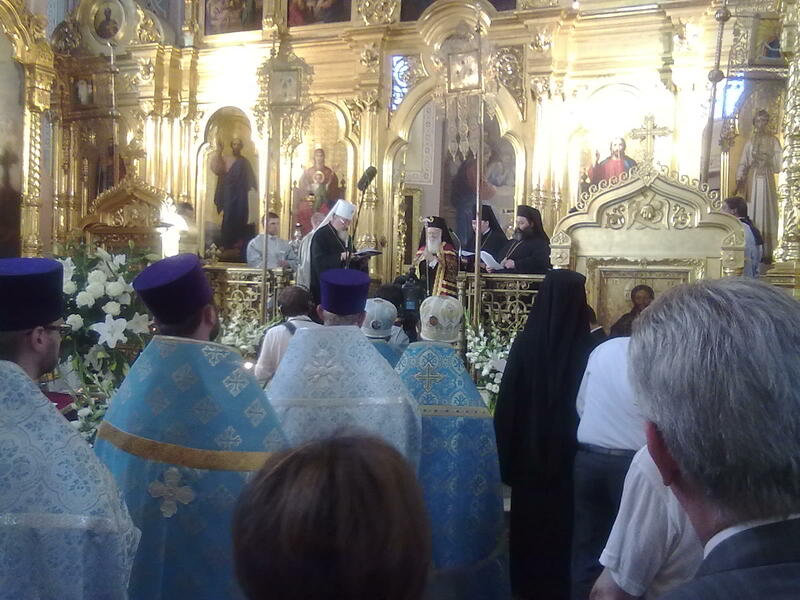 (GREEK NEWS AGENDA) Celebrating the 1,020th anniversary of the conversion of Russia to Christianity, Ecumenical Patriarch Bartholomew I and Patriarch Alexy II of Moscow and All Russia officiated at a joint service in Kiev yesterday. Present at the ceremony were Archbishop of Athens and All Greece Ieronymos, Archbishop of Tirana and All Albania Anastasios and Kiev Metropolitan Vladimir. The two Patriarchs assisted a meeting marking the beginning of a new era in the relations of the Patriarchate of Moscow with the Mother Church, resolving past tensions. After the meeting, Smolensk Metropolitan Kyrill stated that it was “sincere and with God’s help all problems will be handled,” while Patriarch Alexy underlined that “dialogue is the base to handle all issues.” The Moscow Patriarch will participate in a synod of Orthodox Patriarchs organised by the Ecumenical Patriarchate at the Fanar, Istanbul, next October.